Active 4 Seasons specialise in ‘Made to Measure’ Adventure Activities suited to your level of ability and the challenge you require. Get in touch to discuss what you want regarding any coaching, guiding, mentoring or any adventure activities. We have a fantastic location up here in the NE corner of England and we regularly cross the border into Scotland – no passports needed yet! If you have a particular date in mind please take a look at our Google calendar. You can click on an event and it should give you further information? If the event states Private that date is already booked up sorry. If the date is clear then hopefully I am available but obviously the booking process does take a day or two so it may not be fully up to date at all times. We aim to ‘Develop your Desire for Adventure’ so if you plan to race across New Zealand or paddle across or around Scotland for charity or indeed have a local trip in mind just drop us a line and we will sort you out with specific training to suit you. We have a huge range of boats from racing ski to surf kayaks to sea kayaks and general purpose kayaks both single and double as well as open canoes. 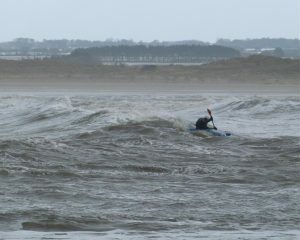 Ollie has great experience, competence and local knowledge and hence the adventures are fun, safe and well targeted. Please feel free to browse the website by hovering your cursor over the various headings. These will reveal drop down menus that you just click to get more information. You can then decide if we are the right people for you to come to. Please contact us here to book an adventure or get further information. You can always Email directly or go through Facebook messenger if that suits you better. We will try to respond as soon as possible. Occasionally I do head away to work in remote places with no signal or connection so please be patient but by all means try again if you don’t get a reply after a week as it may have gone to a spam folder? We offer a range of adventure activities mostly on water (open canoeing, river and sea kayaking and surf kayaking) but also on the rocks (single pitch rock climbing) and trails (mountain biking) of North Northumberland. We work with clients elsewhere in the UK with the West coast of Scotland being a favourite of ours. AALS 3 year Licence holder, third one in a row! Unfortunately it looks like AALS is going to be no longer but not in the near future! As a long established provider (started in 2000) we have bags of experience and lots of qualifications. In May 2018 we gained our third three year licence (not everyone gets one of these!). 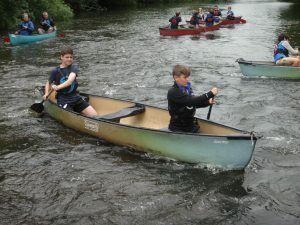 An Adventure Activity Licence allows us to provide adventure activities to unaccompanied under 18’s. We can ensure you get a safe, enjoyable learning experience suited to your specific needs. Please view our education page now. Your host – Ollie Jay is a mature and highly experienced coach and guide. He has experience of leading adventures locally this being the 20th year (longer than anyone else) and elsewhere since 1991. Ollie has paddled in various places including Chile, North America, Alaska, Mainland Europe and Africa and loves Northumberland and the Scottish Borders. We run a monthly Sea Kayak Gang trip. 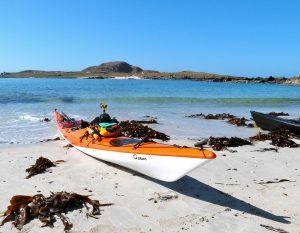 Head onto the Sea Kayak page for more details of the 2018/19 gang trip dates. No membership required but if interested you can sign up to receive an invite to suitable trips based on your experience and aims. 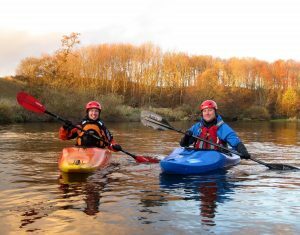 This is a guided trip somewhere suitable on the North Northumberland coast or Southern Scottish Borders coast ideal for individuals looking to develop their skills in an informal atmosphere with the support of a highly experienced BCU level 4 qualified sea kayak coach to look after you. Wed 10th & 17th April and also during the summer hols. If you have been on an adventure with us before and want something a bit more challenging or a longer trip please get in touch as we pride ourselves in providing made to measure adventures for all – see below. We offer Adventure Vouchers – ideal for that special Christmas gift or Birthday present. Vouchers are available for any duration of session that we run from 2 hrs to 5 day development courses. Go to the prices page for information. Vouchers are valid for 12 months from purchase and can be redeemed by 2 people. Please contact us through the contact page, Facebook or Email for further information or to purchase a voucher.